Mercy Medical Center’s North Iowa Energy Center is located in Mason City, IA. The hospital outgrew its initial energy center, creating the need for an updated system. The design features a complete overhaul of the electrical system, new generators, cooling towers, and is capable of adjusting to the continued growth of the hospital. A multi-phase plan was utilized over the course of two years. Hospital operations were never inconvenienced and the facility remained open throughout the transition. 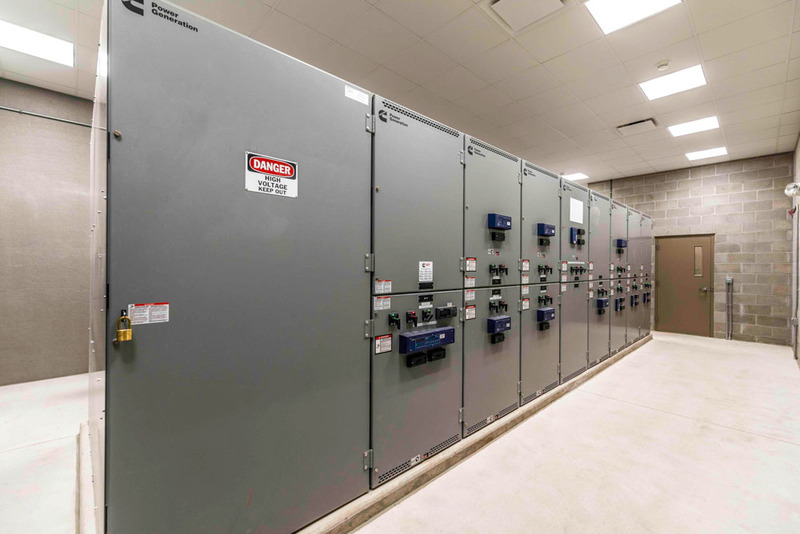 13.8 kV power was distributed on site to local transformers and transfer switches. 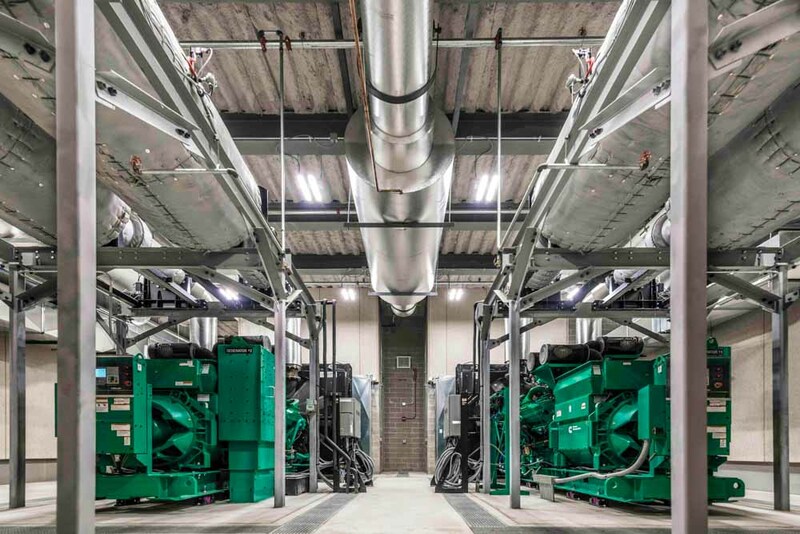 The new generators operate simultaneously with the electrical utility and the hospital’s updated power needs while exporting excess power to the utility grid. Focusing on sustainable design, the new generators showcase Tier 4 clean burn technology with exhaust post-treatment, making these generators fully Tier 4 compliant with current EPA regulations. 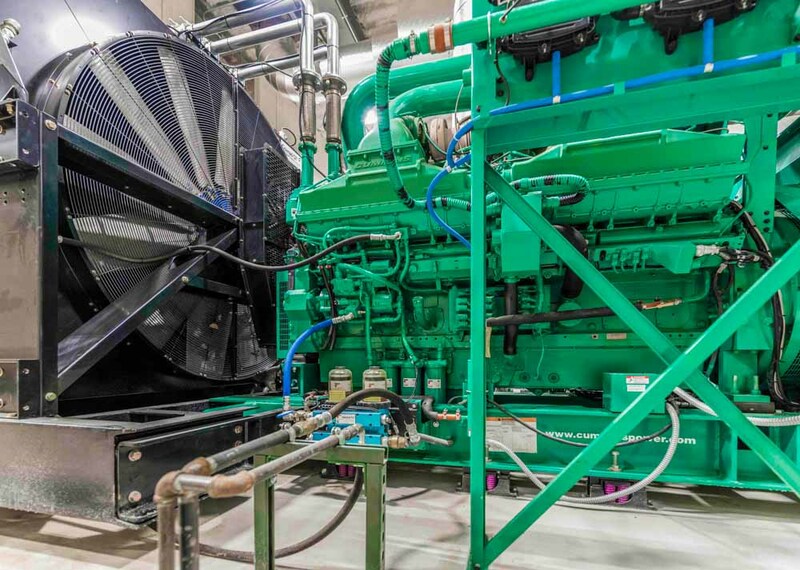 Generator sets are diesel powered and produce 2.25 MW (megawatt) of power each (4.5MW total) while operating in parallel with Alliant Energy Electrical Utility. In addition to a low environmental impact by nature of clean combustion technology the entire generator facility was located 50 ft from a residential property line and was engineered to meet extremely restrictive residential noise guidelines…less than 50 db at the property line. The energy plant facility utilizes an innovative one of a kind air intake and exhaust system to allow for this low sound impact. 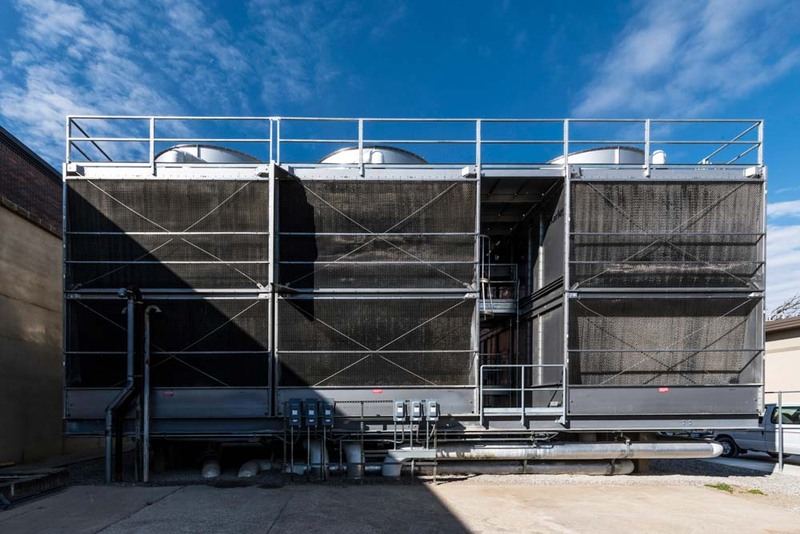 This project also included a replacement of the existing chiller plant cooling tower system. The new cooling tower was also engineered to be extremely low sound and low energy consuming. The towers were all ss for no maintenance and utilize an innovative basin cleaning filter system that rotates between tower cells. This filtration system is integrated into the tower chemical treatment control system through Siemens DDC to minimize the environmental impact of the tower flushing /cleaning system. The chiller plant was upgraded to produce 38 degree chilled water using specially designed centrifugal chillers. 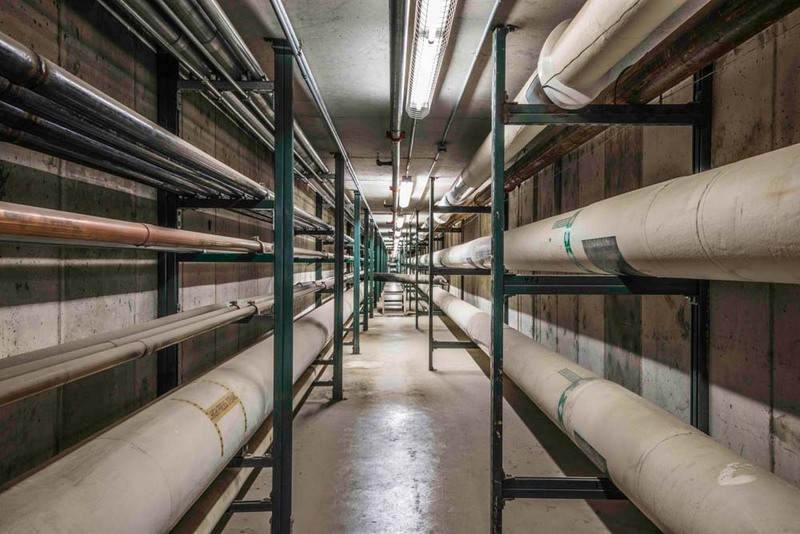 This 38 degree design improved the performance of the entire facility’s HVAC equipment. Reducing fan energy in the entire hospital and improving air quality during the cooling season. This temperature also provides for tight environment control of critical spaces within the facility. A sophisticated digital control system operates the system to maximize performance and minimize energy consumption. This upgrade was also accomplished without interruption to the hospital chilled water system.